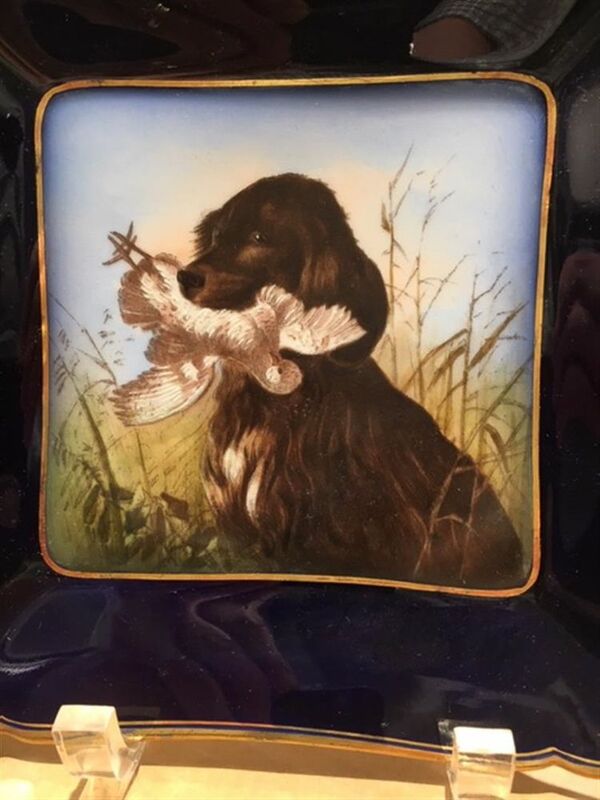 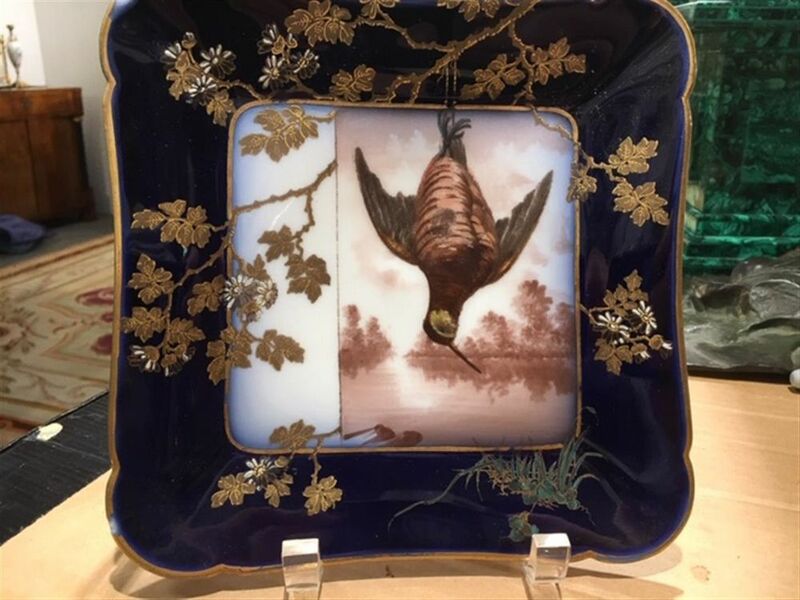 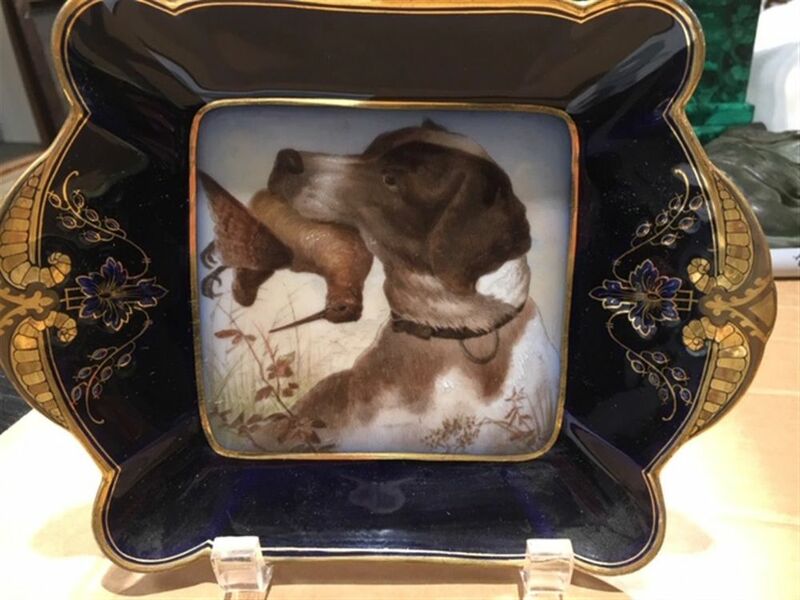 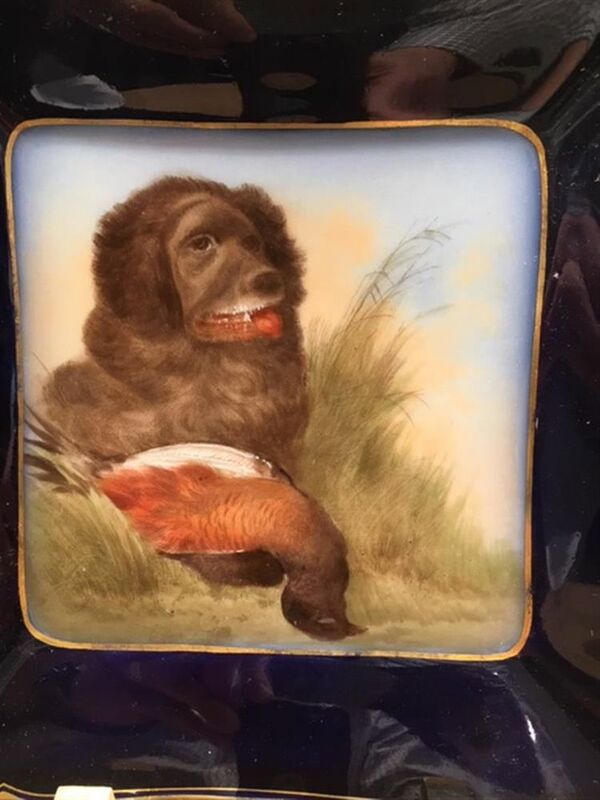 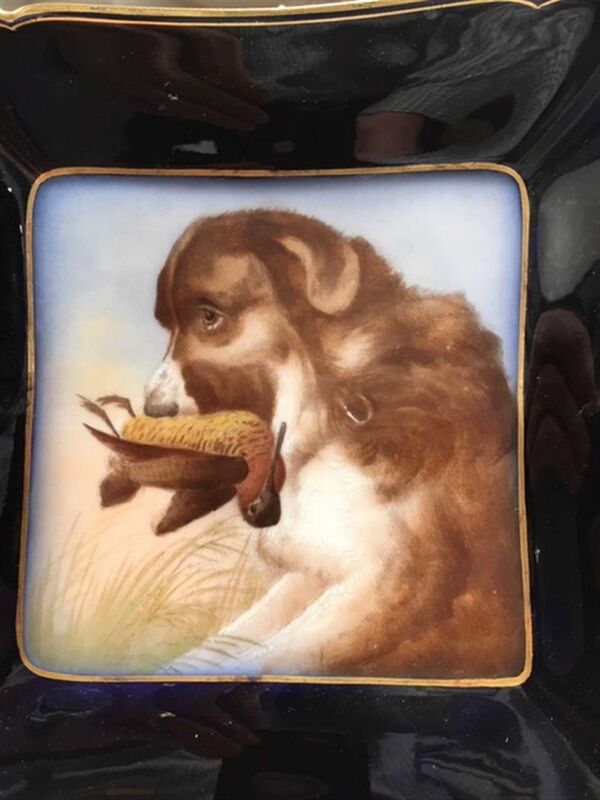 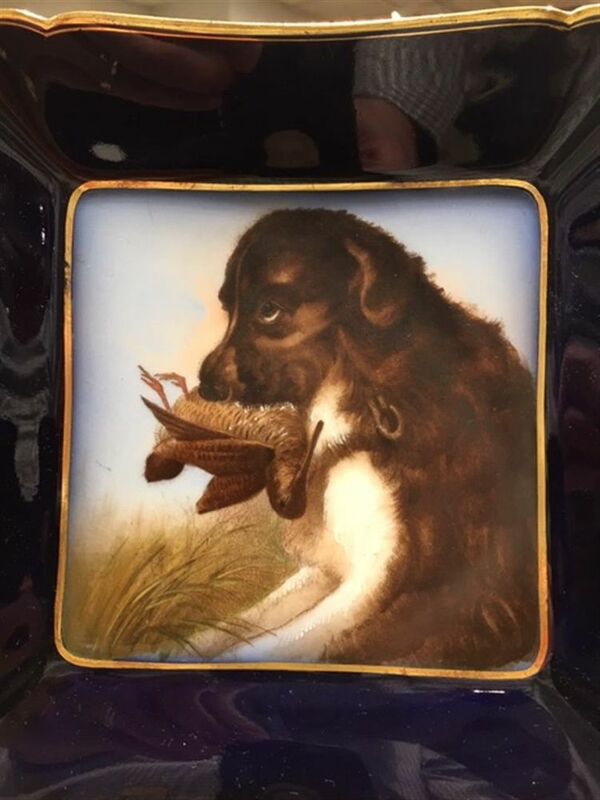 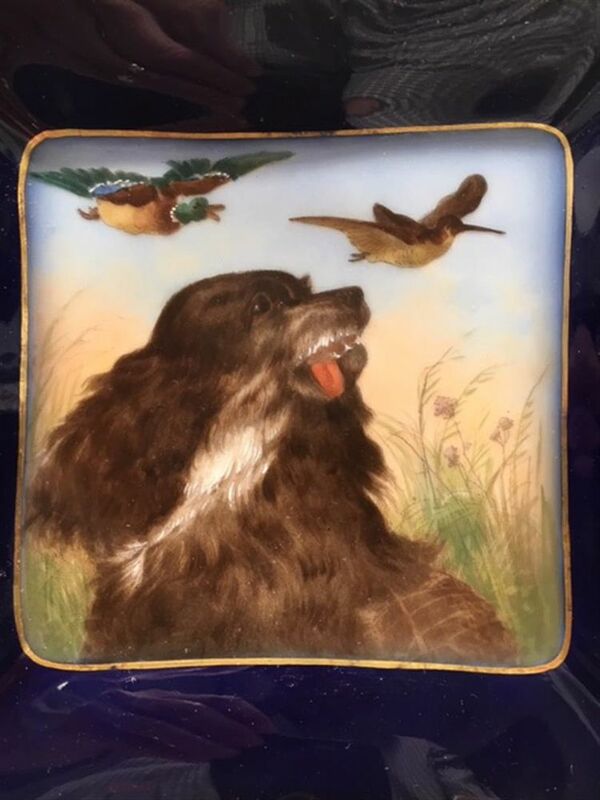 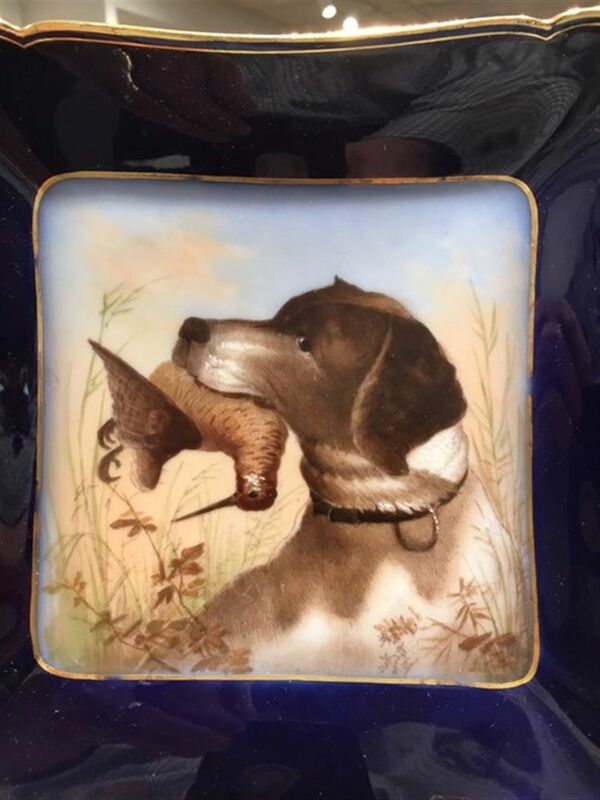 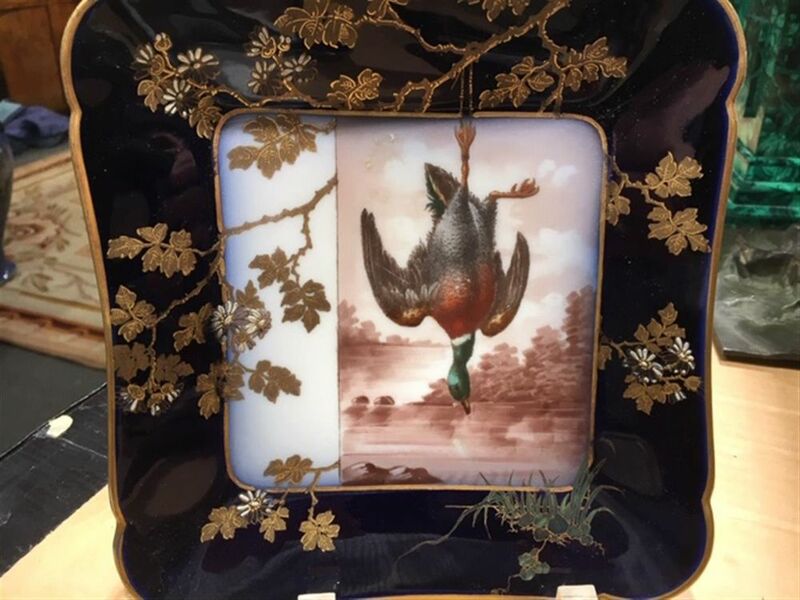 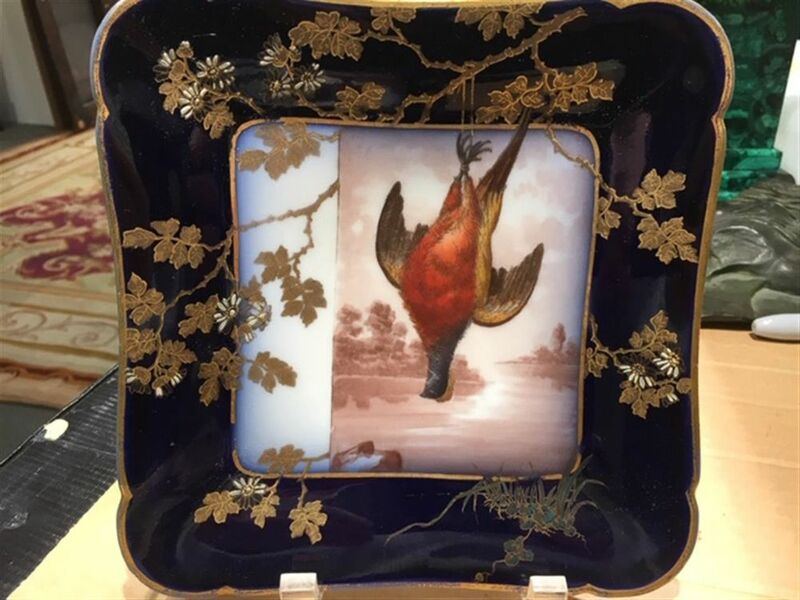 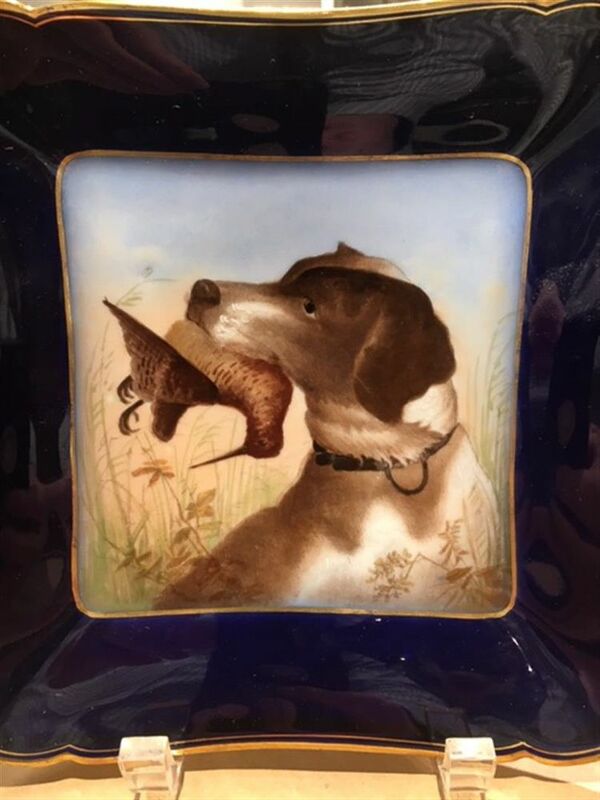 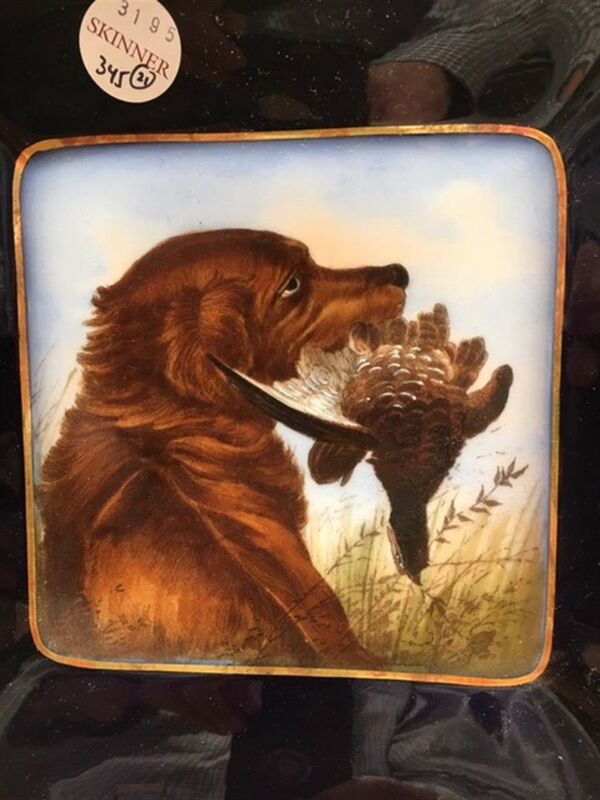 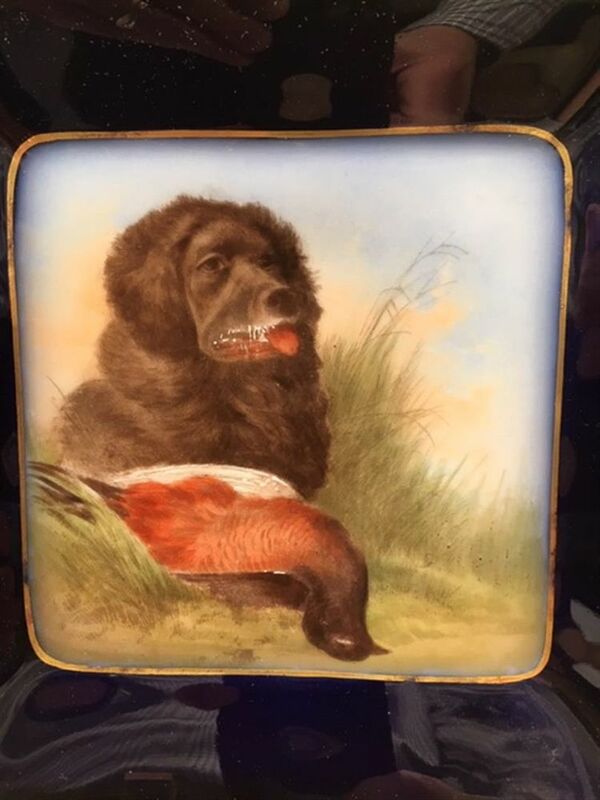 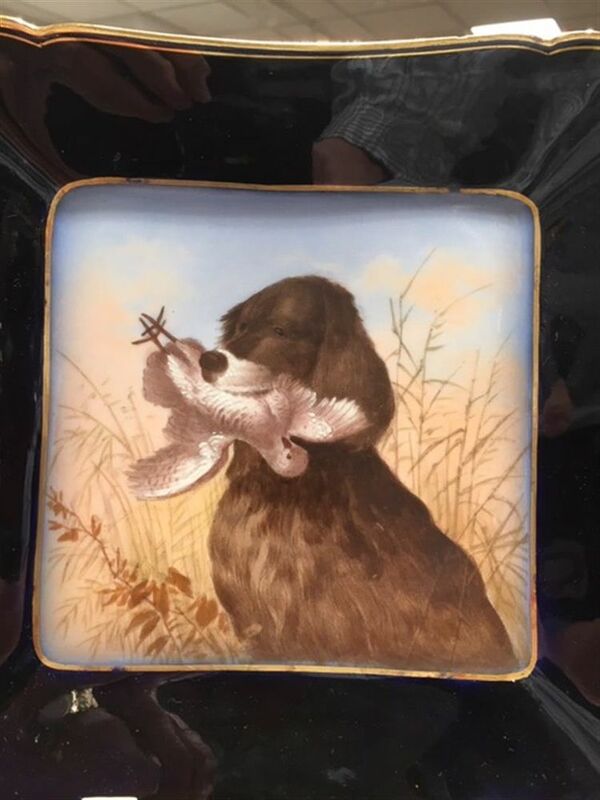 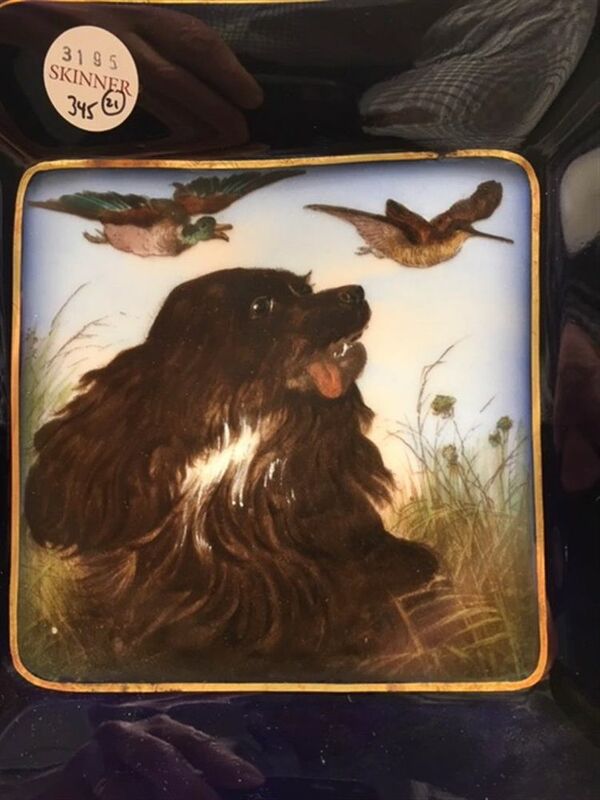 Assembled Twenty-one-piece Haviland Limoges Porcelain Game Set, France, c. 1880, gilt trim to a dark cobalt blue ground border with polychrome enameled transfer prints of hunting dogs with dead game, including fourteen square plates, lg. 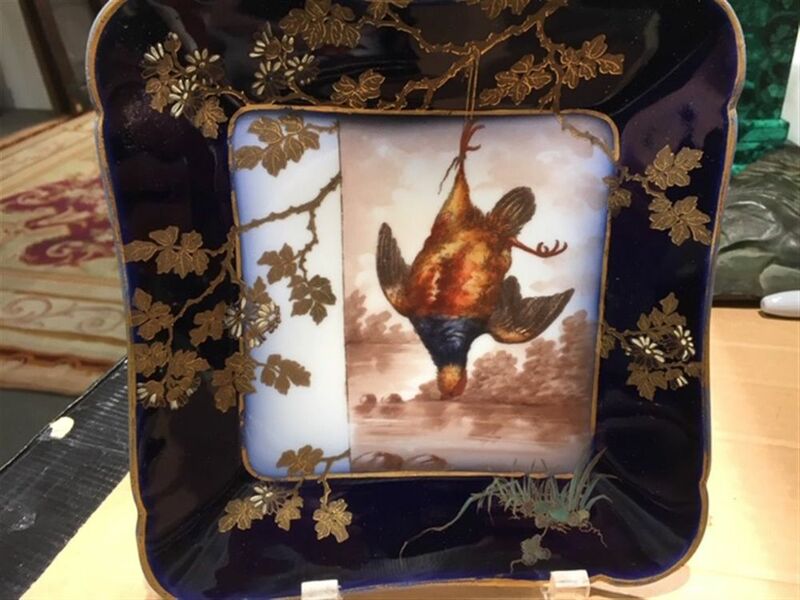 7 1/2; two shaped dishes, lg. 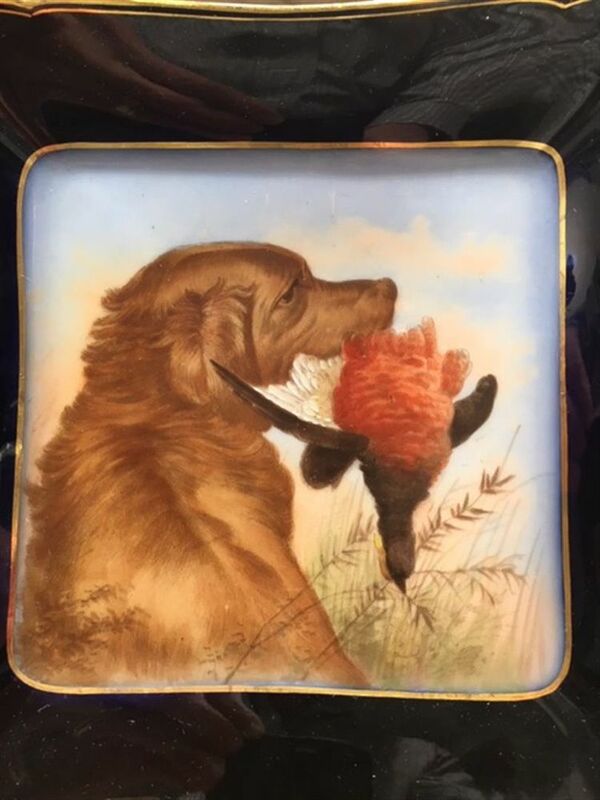 7 5/8; four square dead game plates, lg. 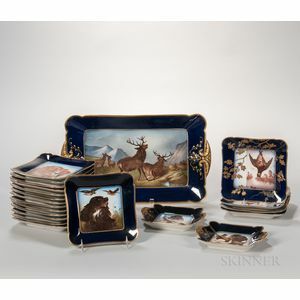 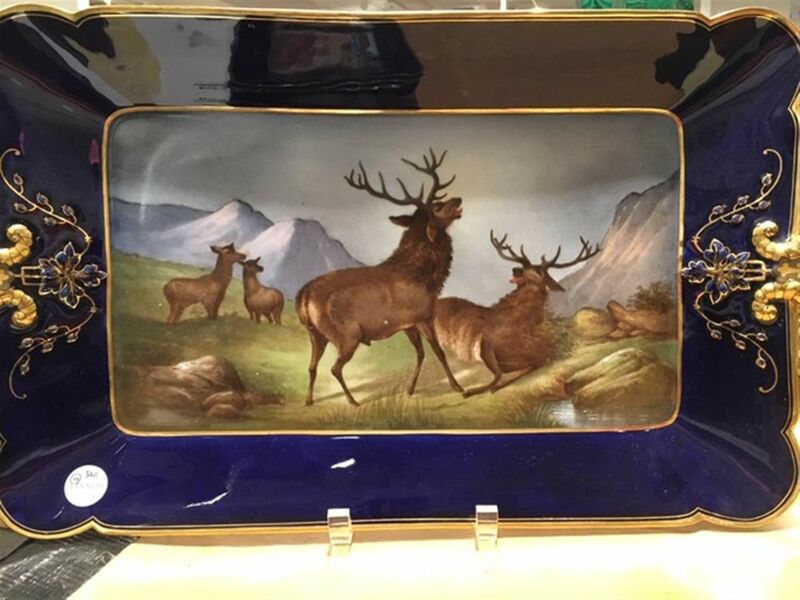 7 3/4; and a rectangular platter with running and grazing elk, lg. 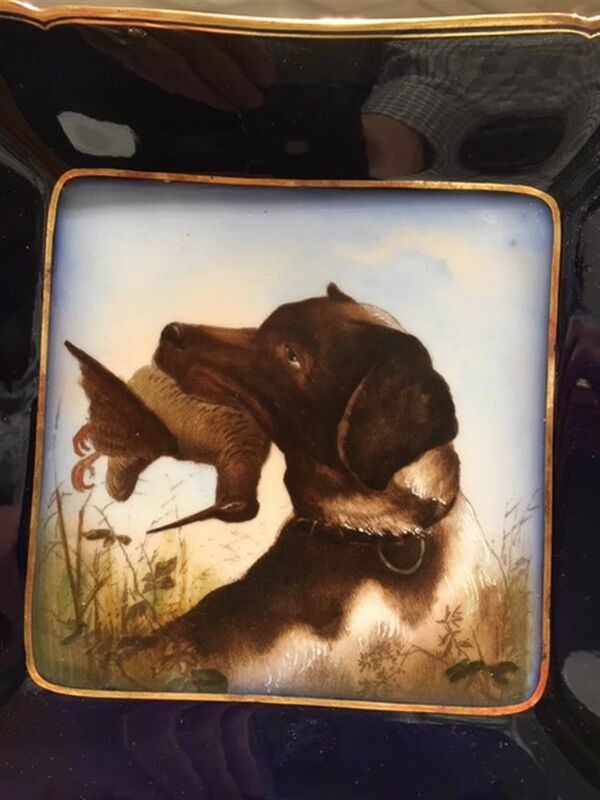 18 1/2 in. 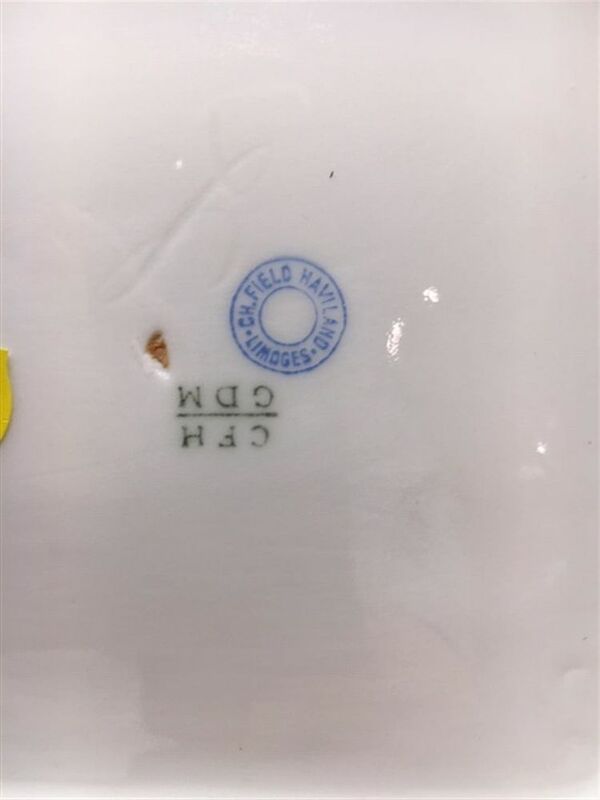 ; printed marks. 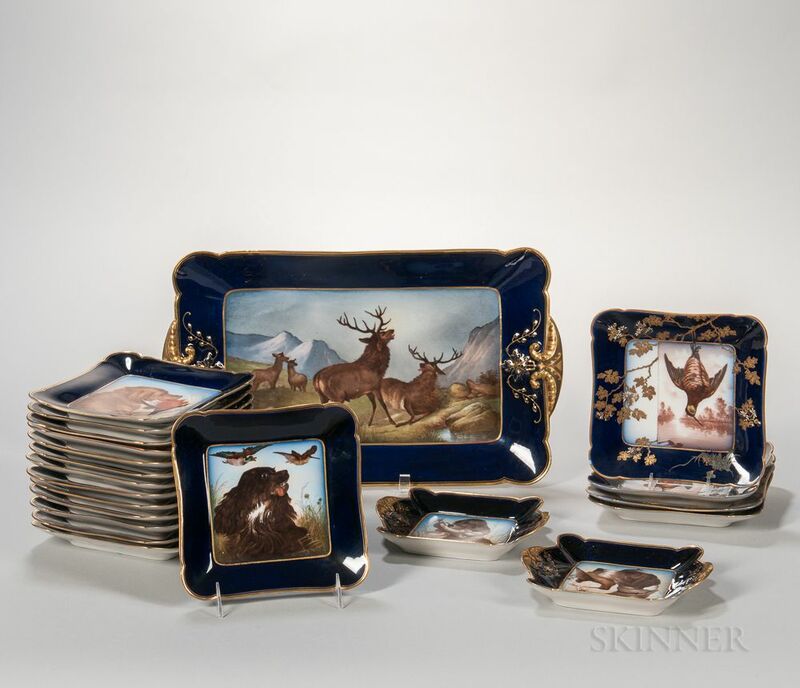 Light stacking wear to interior gilt trim line. 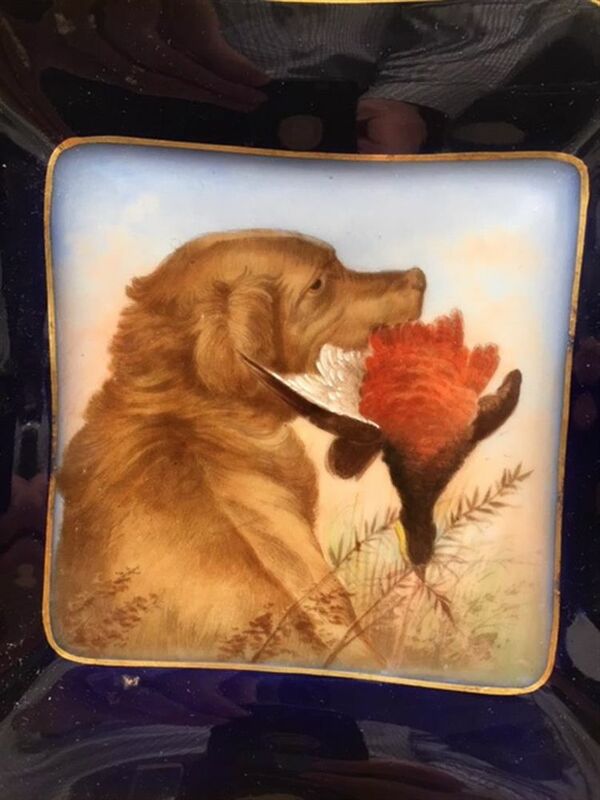 No evidence of any cracks, chips or restorations throughout.